Having won her first cooking contest at the age of 12, Shelly Marie Redmond, MS, RD, LDN, lives for the kitchen. Shelly is an award-winning culinary dietitian, speaker, spokesperson, and founder of Skinny Louisiana™. 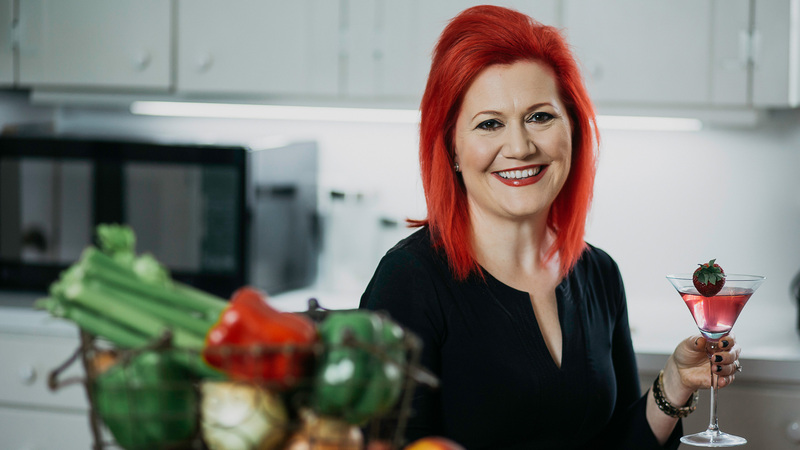 Known as the Queen of Healthy Cajun Cuisine, she develops recipes and conducts food demonstrations marrying the authentic and delicious flavors of Louisiana cooking with principles of healthy eating. No boring chicken and green beans or vegetable trays. Shelly combines her creative, delicious, and skinny Louisiana-based recipes in her book, Skinny Louisiana…in the Kitchen (Pelican Publishing 2017) featuring recipes such as Spectacular Skinny Crab-Stuffed Mushrooms and Sizzling Sweet-Potato Fries. In 2016, she was named to the 40 Under 40 Class by the Shreveport YPI and Chamber of Commerce. In 2017, she was awarded the Outstanding Alumni Award at her alma mater Nicholls State University for her contributions to the study of dietetics. Shelly is a widely recognized media expert. Currently, she showcases her creative, Skinny Louisiana approved dishes Fridays on NBC-Affiliate KTAL News 6 Today Morning Show. She has given countless interviews for CBS, ABC, and FOX Affiliate stations on various nutrition lifestyle topics. She has been seen in print including BuzzFeed, Men’s Health, SELF, and Women’s Health. Men’s Health named her New Orleans BBQ Shrimp one of the 50 Healthiest Recipes Known to Man. Shelly is a partner at Eberhardt Physical Therapy in Shreveport, LA. Daily, she counsels clients on weight loss, diabetes, and food allergies. Her clients average a 4-10 pound weight loss in their first 21 days of working together. Shelly has served as a media spokesperson for the Southeast United Dairy Association, Frito-Lay Sun Chips and Tostitos, California Raisins, California Pistachios, KIND Bars, and the Canned Food Alliance. She has worked on social media campaigns for Welch’s, Best Buy, and Verizon! In 2015, Shelly’s southern culinary flare was showcased as she filmed a web commercial for the Southeast United Dairy Association featuring her Skinny Louisiana Shrimp Bread. Her energy and flare is contagious! You can find her embracing her Cajun roots in her kitchen with her Yankee husband, 2 children, and 2 cats, Gizmo and Theodore Roosevelt.